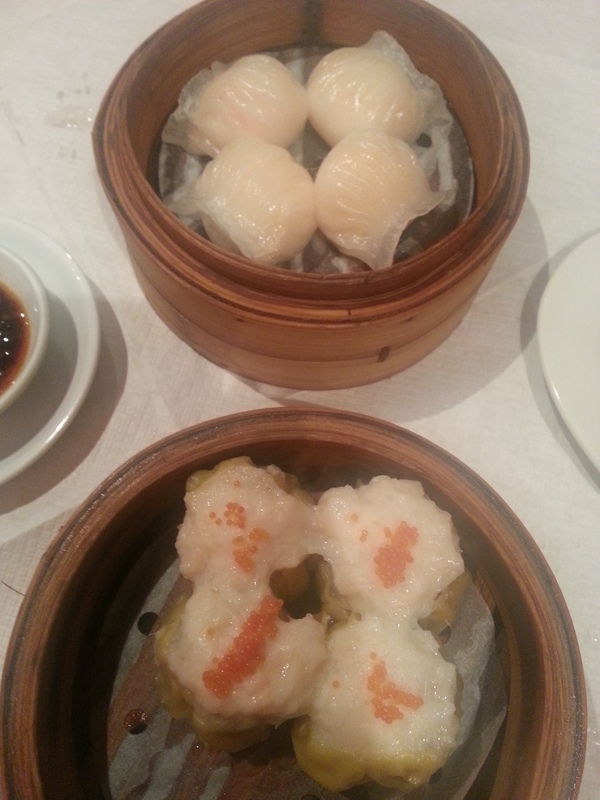 Sunday Dim Sum was a family favourite of ours growing up and it still is when I go to Hong Kong to visit my Grandma. It is essentially a Chinese version of brunch with lots of little dishes of dumplings. You will go in a big group with your whole family and sit around the table for a couple hours chatting away while all the plates of delicious dumplings and congee and rice and roasted pork etc continue coming out from the kitchen. 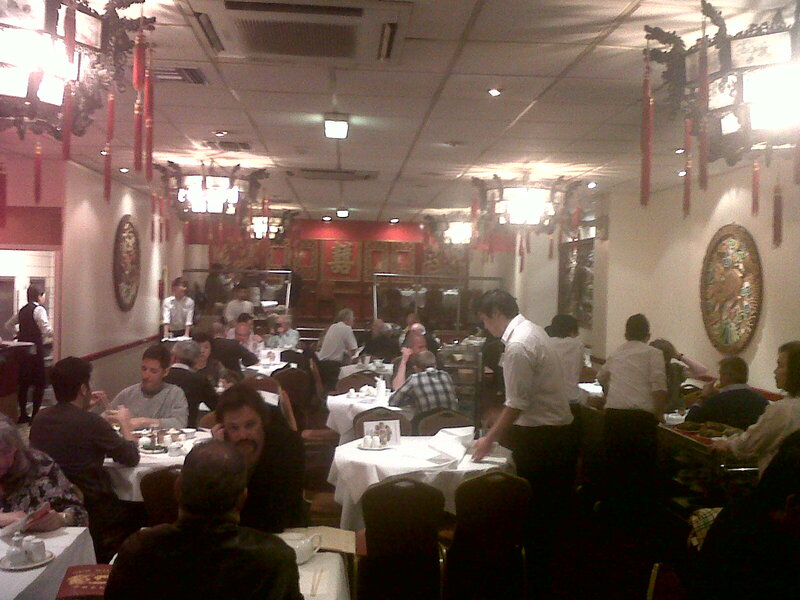 My current favourite in China Town is London Chinatown Restaurant. Everything comes steaming and fresh from the kitchen to your table, they have a good menu, the food is authentic, it all comes fairly quickly after you have ordered and it is really well priced. 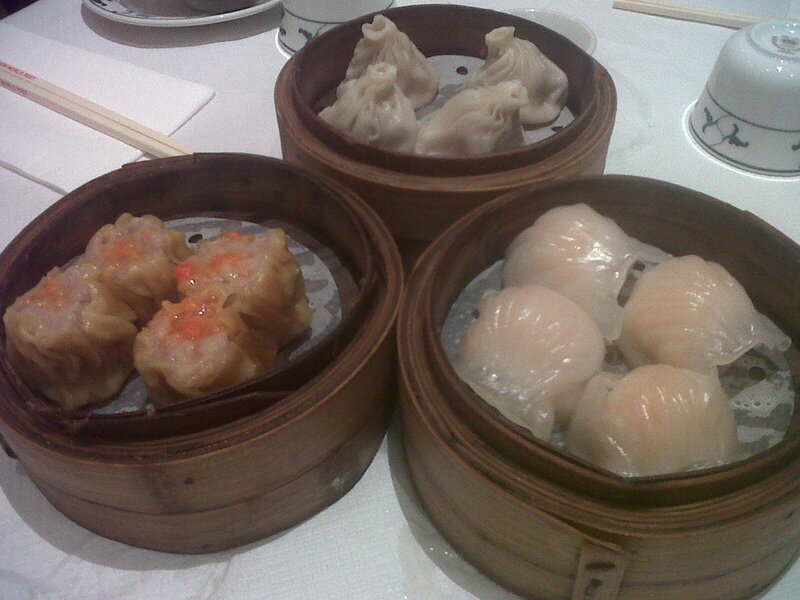 And the best thing is that you can usually get a table – which can be an issue on Sundays in China Town for Dim Sum. 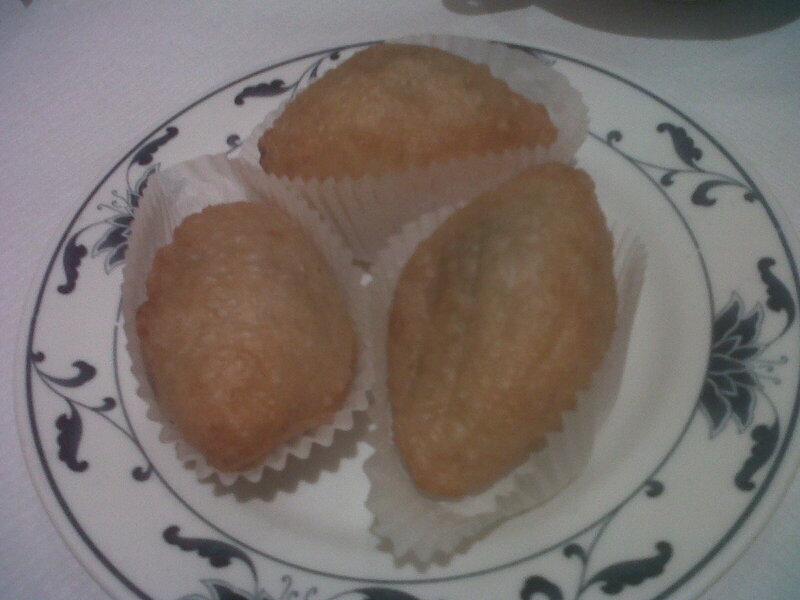 If you are looking for a taste of a proper Hong Kong Dim Sum, I recommend Royal China in Queensway. To get a table you will need to get there early as you cannot do a lunch booking on the weekends. My aunt and uncle and I went for a dim sum lunch one Saturday. We got there just before 12noon and luckily we got a seat but the restaurant was already almost full up! You order from the menu at The Royal China and there is plenty to choose from. We had some dumplings which were all made so beautifully and you could taste that they were freshly steamed. We had some sticky rice which is wrapped and steamed in lotus leaf. 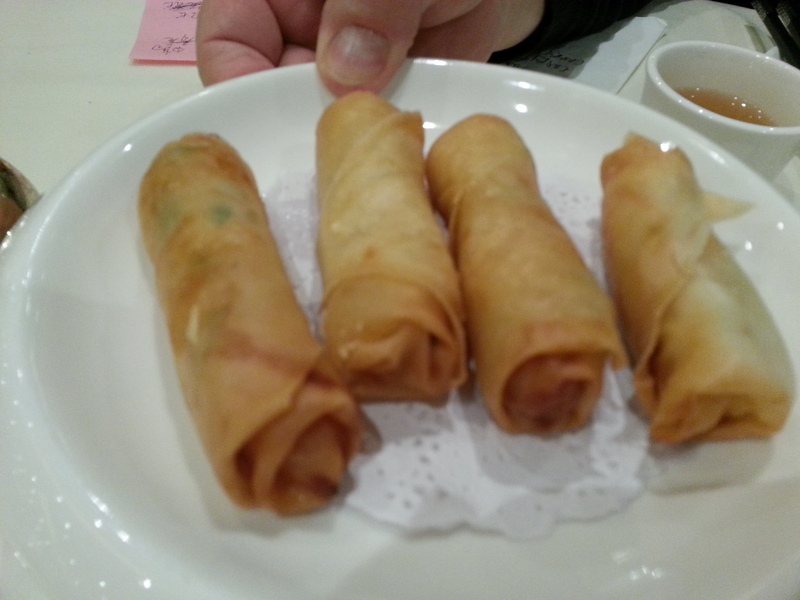 We had some fried bits like spring rolls, which I am not usually a huge fan of, but these were cooked so well. They weren’t greasy and they were perfectly crisp on the outside and again you could taste that they were freshly cooked. We also had some barbecued suckling pig which comes cut in squares with absolutely crisp and crunchy skin piled perfectly over squares of soft and tender meat. 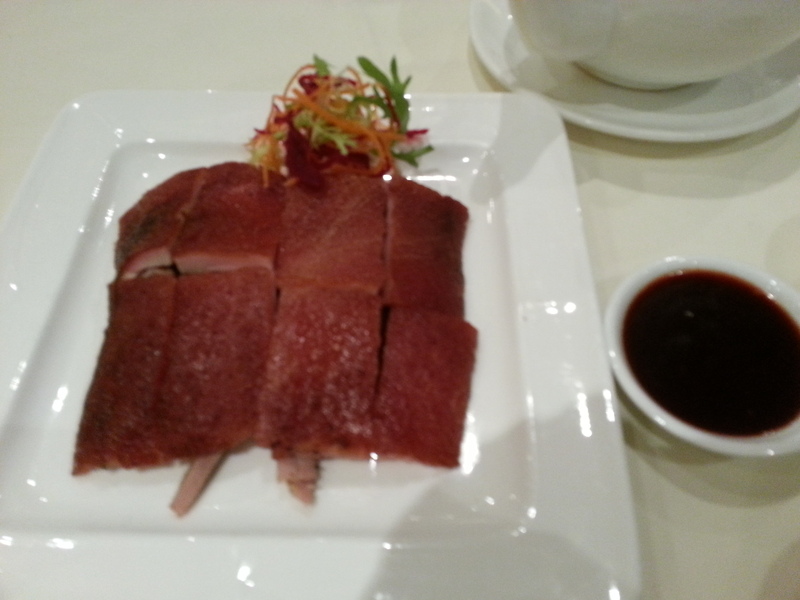 And finally to end the meal we had some duck pancakes which again was lovely. A great barbecue-like taste to it. Overall it was a great meal. I definitely recommend for a very Hong-Kongese Dim Sum. 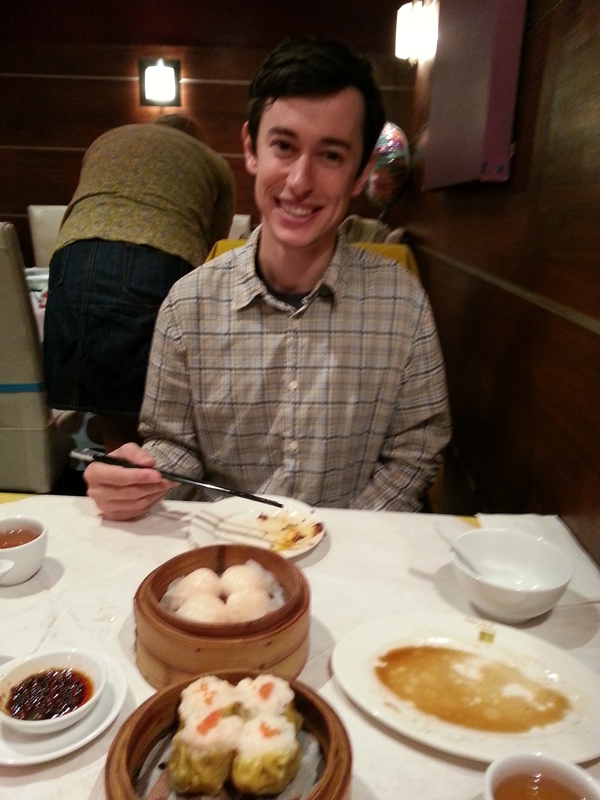 While Wouter was visiting London, we went for a Dim Sum Sunday Brunch at Imperial China in China Town. 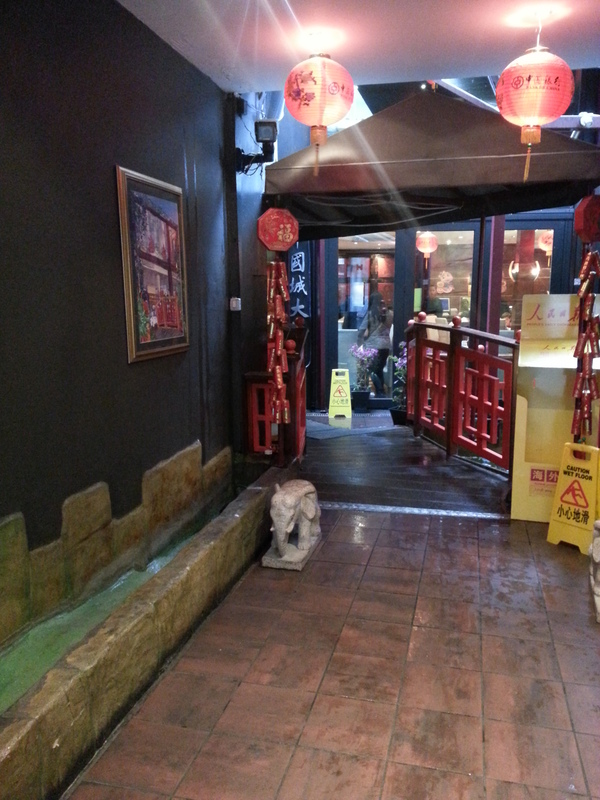 You walk through an alley way and over a pond to get to the restaurant. It has a very Hong-Kong-feel to it with the wonderful smells of freshly cooked dim sum, the decor and the Cantonese speaking waiters and waitresses. We were seated straight away at we got there right at 12noon and we ordered a number of dishes and a pot of some lovely Chinese tea. It was not long before our order came out in steaming hot baskets of goodness. We had the classics. Some Har Kau, which is a thin rice wrap with a prawn filling (this is my favourite) and some Siew Mai, which is a pork and prawn dumping with crab eggs sprinkled over the top. 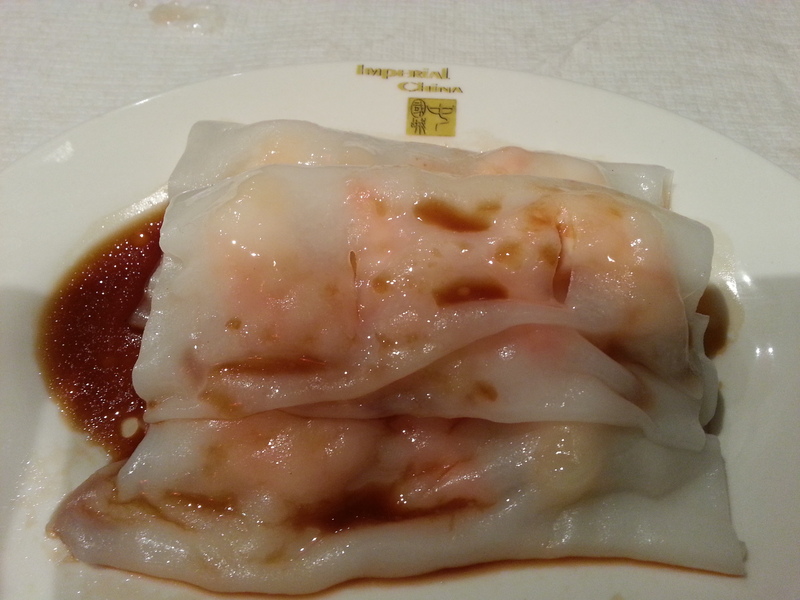 Cheung Fun is basically a flattened out rice noodle which is wrapped around bbq pork, prawns, scallops, etc. We got the prawns. 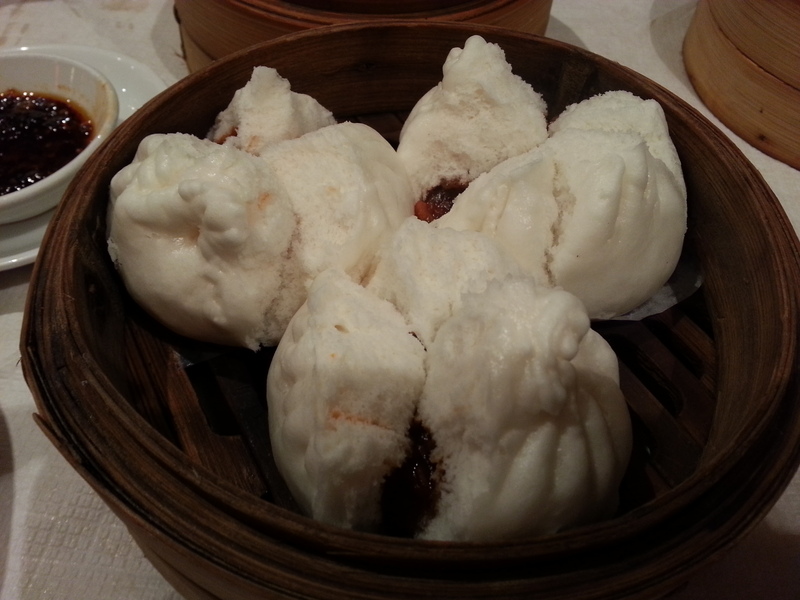 Cha Siew Bau is a sweet fluffy bun filled with a bbq pork mixture which was lovely and light. 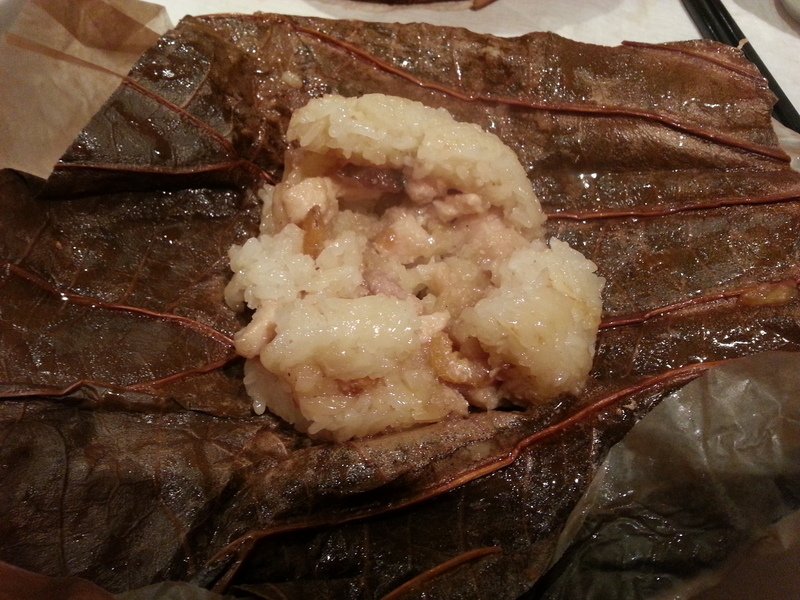 And finally we had the sticky rice in a lotus leaf which is filled with mushrooms, prawns, pork, and a salty duck egg. 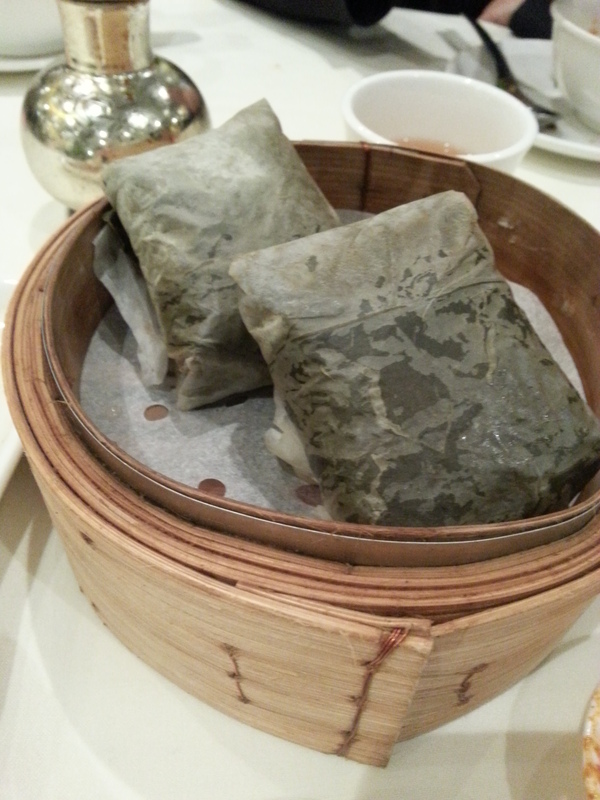 Together with the glutenous rice, it is wrapped in a lotus leaf and steamed. It was all delicious and, as a half Chinese foodie, I would definitely recommend for a Sunday brunch! I must say, hands down, Hakkasan make THE BEST dirty martini’s that I have ever tried. We walked into Hakkasan without a reservation on a Friday night and ended up at the bar while we waiting for a table. The restaurant’s million pound interior has a very elegant and contemporary but still Chinese feel to it and was designed by Christian Liaigre (French Interior Designer). We were very comfortable drinking our cocktails at the bar, but before we knew it (only about 15 minutes later), a table was free! Being half Chinese, from Hong Kong, where the Chinese food is out of this world, I really know and love the food. 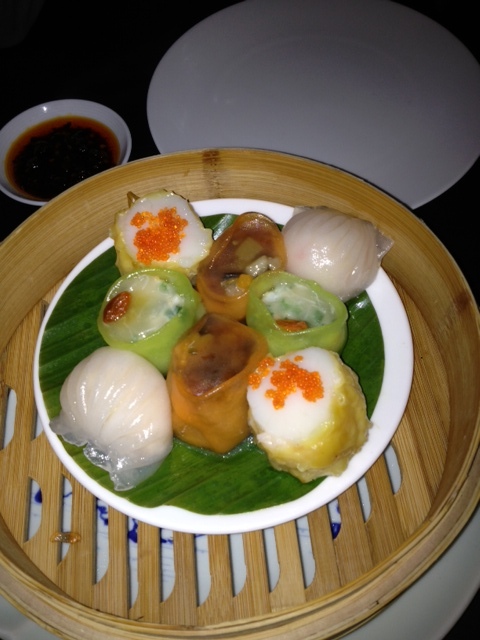 I was excited to go to Hakkasan as I had heard so much about Head Chef Tong Chee Hwee’s dishes. They were awarded a Michelin Star in 2003, so that was very promising too. We started our meal with the Dim Sum platter, as I had heard that the dumplings were fusion and made to perfection and I was not disappointed. The dim sum was perfect. Every little bite was heavenly and I could not fault it whatsoever. 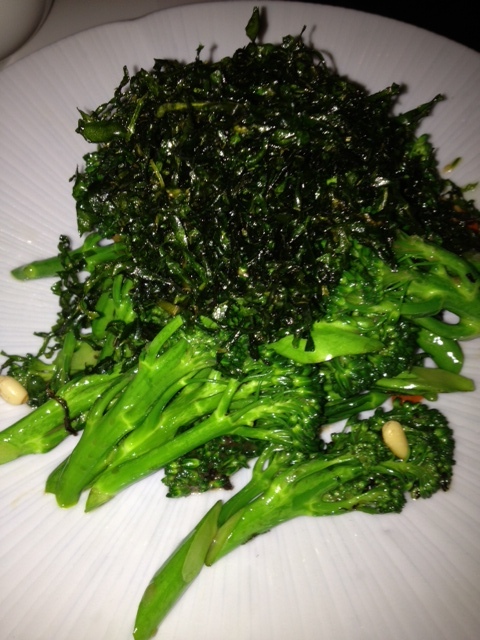 For our mains we decided on sharing some stir fried broccoli with crispy seaweed over it. The broccoli still had a crunch to it and was cooked with garlic and red chili so it had a freshness about it and the crispy seaweed on the top was a great addition to the flavours. The claypot chicken was divine! 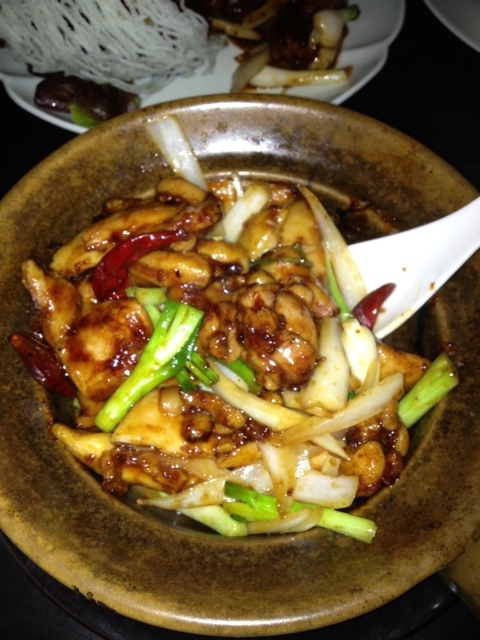 The chicken was still moist (not dry at all) and it was cooked with dried chilies and spring onions in a sweet sauce. The sweet and spice worked very well together. We also shared a black pepper sirloin steak stir fry. 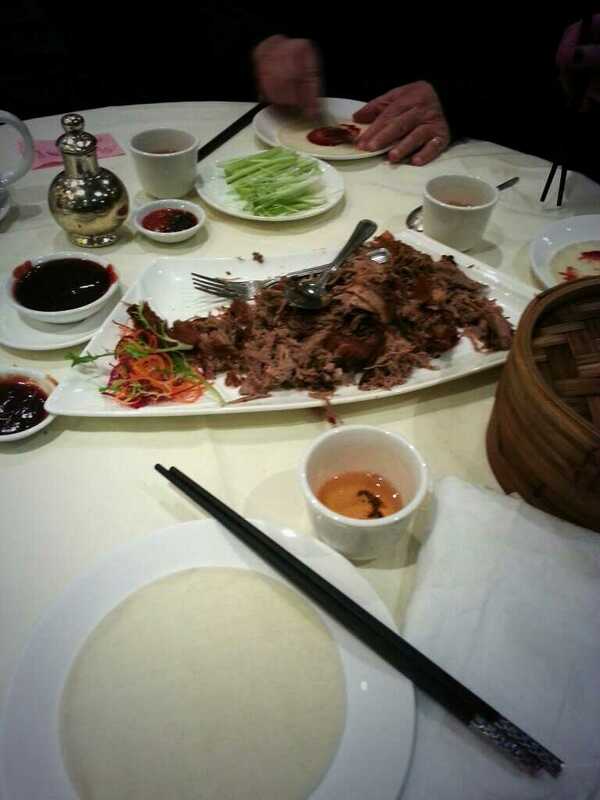 The meat was very tender and fell apart in my mouth. Again, absolutely delicious. We had a bowl of boiled white rice between two and it was the perfect amount of food. We left very satisfied. My favourite parts of the meal were definitely my dirty martini and the dim sum. Overall I believe it was the ingredients in the food that made it taste so good, there were not cheap fatty meats that you would usually get in a Chinese restaurant in London. The atmosphere was great and the service and cocktails were exceptional. 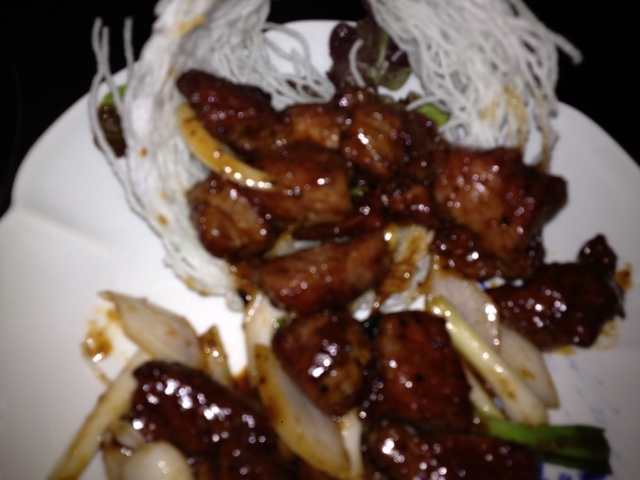 A good treat if you are looking for high quality Chinese food. The London Chinatown that we know and love today was established in the 1970s and New World was one of the first restaurants in this area, which is around the time that my mother discovered it. It became a regular Sunday Dim Sum spot for our family at least once a month. It has a great atmosphere, with its trolley service that reminds me of the old Hong Kong Dim Sum service, which makes the experience exciting as you wait for the trolleys to come by and you can see all the food and pick what you would like for the table. Esme was visiting London and as China Town is one of the tourist attractions, Russell, Patrick and I took her to New World for the experience. It always buzzing when you walk in. You sit down, order your drinks (we decided on Chinese tea for the table) and wait for the trolleys to come round one by one. 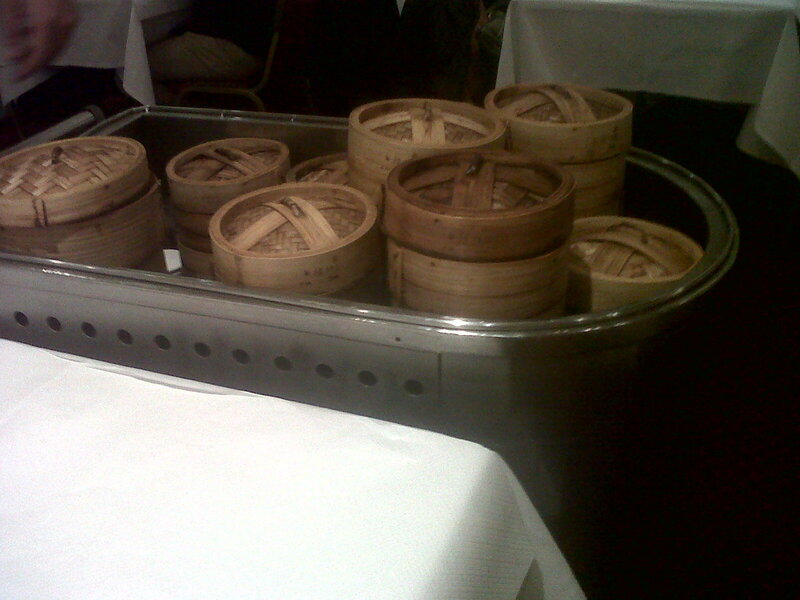 The first trolley that decided to stop at our table was the steamed baskets. We chose siew mai (a pork and prawn dumpling), har kau (a prawn dumpling), and xiao long bao (a Shanghai-nese pork dumpling). The next trolley that came round was the cold meats (that you can ask them to warm up). 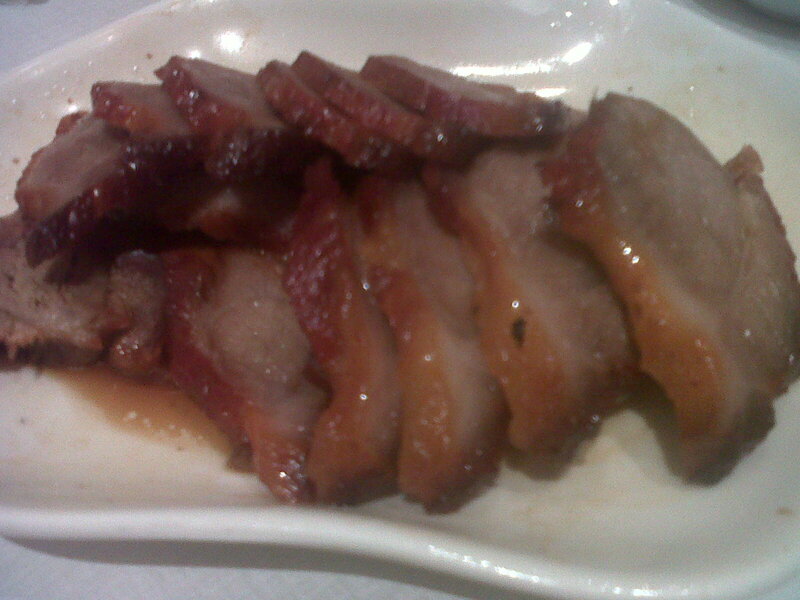 We decided on some char siew, which is a sweet barbecued pork dish. Then the fried foods trolley came round and we chose some spring rolls, Woo Kok (fried yam puff with a pork and mushroom filling) and another dish which is a deep fried sweet sticky pastry with a pork filling. 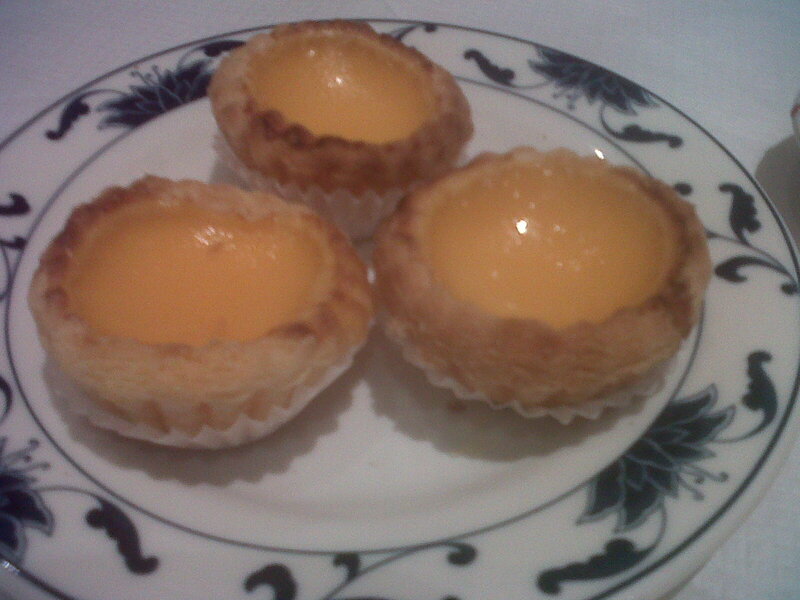 To end the meal, we had some Portuguese egg tarts. We left the restaurant extremely full of Chinese deliciousness and paid £15 each. 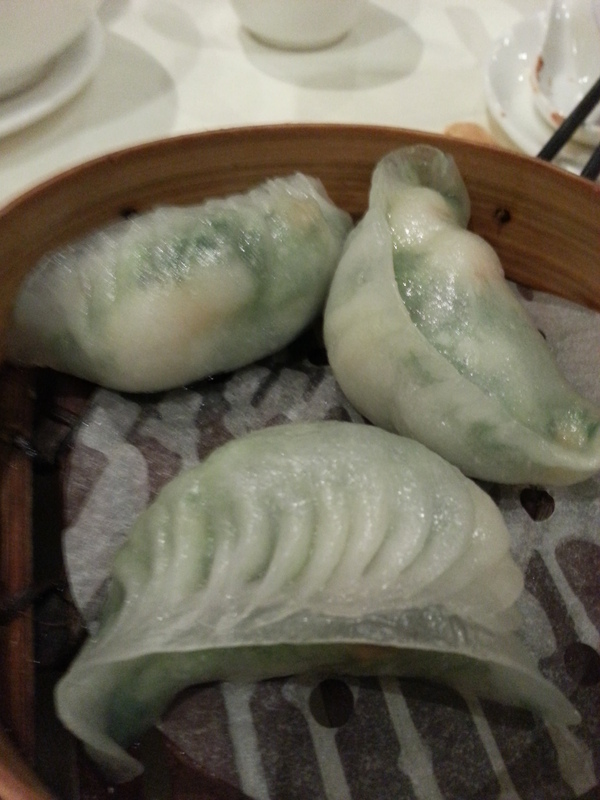 Overall its a fun, sociable meal to be shared and a must try if you fancy some affordable dim sum in Chinatown.